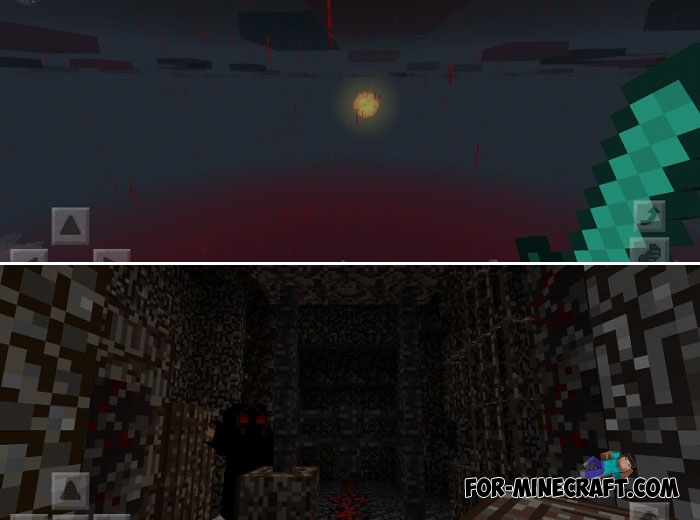 Blood Forest is not suitable for you if you are looking for bright cubic or realistic texture packs for Minecraft Bedrock. Its purpose is horror maps, creepy passing, scary mini-games or anything like that where there are many eerie things, little lighting and there are screamers. There are no colorful and contrasting objects, they all received dark tones and reduced brightness. How to install Blood Forest? 2. 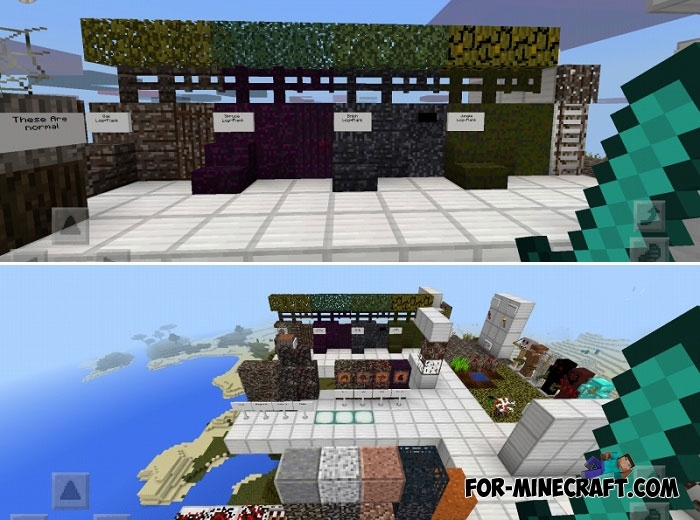 Activate the texture pack.